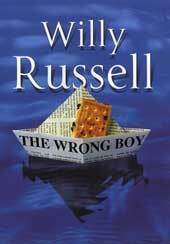 The Liverpool Daily Post LiveRead online literary festival book club met recently to discuss Willy Russell's The Wrong Boy. You can watch their discussion (right), chaired by Peter Elson, with Daisy Dawes - author of Get Ahead Fred - and Sports Media's Peter Grant. 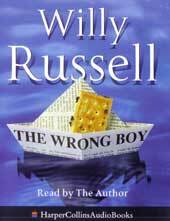 Welcome to the heart-wrenching, ever-erring world of Raymond Marks, a normal boy from a normal town. Until, that is, in the wake of the Tranvestite Nativity Play Scandal, the ill-fated flytrapping craze begins - a craze that involves 15 boys, a number of flies and an intimate part of the male anatomy... after which, Raymond's world is never quite the same again. Raymond Marks is a normal boy, from a normal family, in a normal northern town. 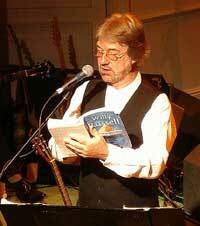 Until, on the banks of the Rochdale Canal, one single incident changes his life forever. For Raymond, and for everyone with whom he comes in contact, nothing is ever quite so normal again. 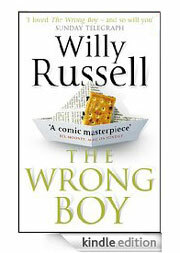 "Full of memorable characters and with an utterly engrossing plot, The Wrong Boy is one of the funniest and most moving novels." An audio cassette tape and CD, with Willy narrating is available.